Singapore's healthcare receipts already exceed $9 billion and are rising faster than GDP growth, with a certainty they will go up even further. Eventually, this will become unsustainable, Prime Minister Lee Hsien Loong said yesterday. In the medium term, Singapore will have to find new ways to fund healthcare spending. 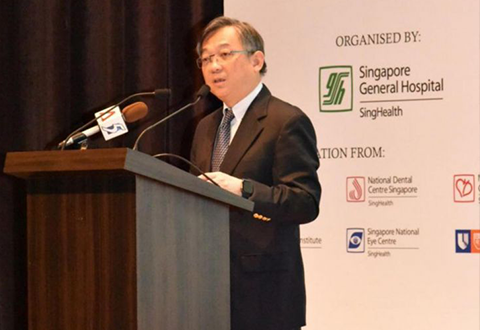 "But at the same time, we have to think hard about what we must spend on, and which drugs and procedures are cost-effective," PM Lee said at the official opening of Singapore's newest hospital, Sengkang General Hospital (SKH), and the companion Sengkang Community Hospital (SKCH), which provides rehabilitation services. "We have to make hard choices, and I hope we will have the support of Singaporeans in making them," he added. 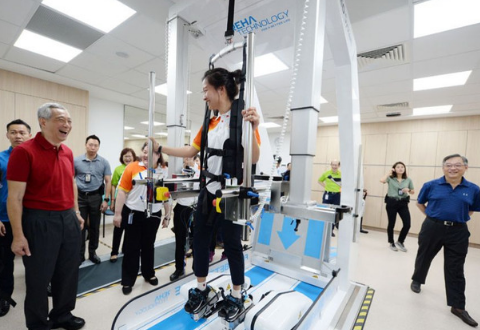 PM Lee's comments come after the Health Ministry said last August, when SKH opened its doors to the public, that it will take a pause to plan future healthcare needs after the next public general hospital opens in Woodlands in 2022. Since 2010, the Government has been steadily building more facilities to meet growing demand as the population ages. 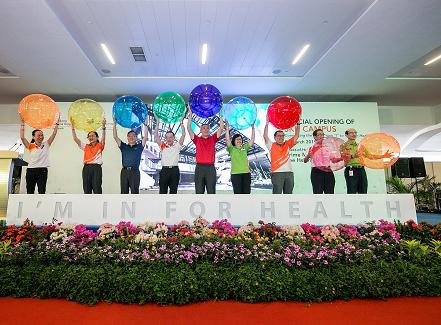 The Sengkang integrated campus in the north-eastern part of Singapore will add 1,000 acute hospital beds and 400 community beds when it opens fully. 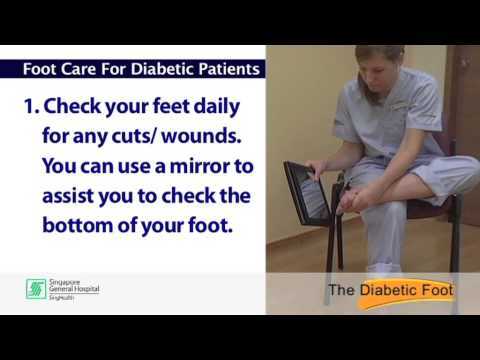 It currently operates about 500 acute and 150 community hospital beds. More beds will be opened progressively to meet rising patient demand. 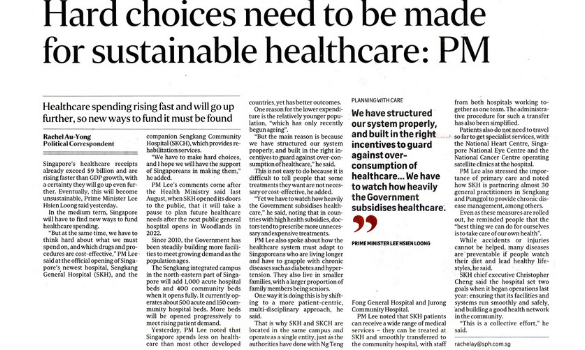 Yesterday, PM Lee noted that Singapore spends less on healthcare than most other developed countries, yet has better outcomes. One reason for the lower expenditure is the relatively younger population, "which has only recently begun ageing". "But the main reason is because we have structured our system properly, and built in the right incentives to guard against over-consumption of healthcare," he said. This is not easy to do because it is difficult to tell people that some treatments they want are not necessary or cost-effective, he added. "Yet we have to watch how heavily the Government subsidises healthcare," he said, noting that in countries with high health subsidies, doctors tend to prescribe more unnecessary and expensive treatments. PM Lee also spoke about how the healthcare system must adapt to Singaporeans who are living longer and have to grapple with chronic diseases such as diabetes and hypertension. They also live in smaller families, with a larger proportion of family members being seniors. One way it is doing this is by shifting to a more patient-centric, multi-disciplinary approach, he said. That is why SKH and SKCH are located in the same campus and operate as a single entity, just as the authorities have done with Ng Teng Fong General Hospital and Jurong Community Hospital. PM Lee noted that SKH patients can receive a wide range of medical services - they can be treated at SKH and smoothly transferred to the community hospital, with staff from both hospitals working together as one team. The administrative procedure for such a transfer has also been simplified. Patients also do not need to travel so far to get specialist services, with the National Heart Centre, Singapore National Eye Centre and the National Cancer Centre operating satellite clinics at the hospital. PM Lee also stressed the importance of primary care and noted how SKH is partnering almost 30 general practitioners in Sengkang and Punggol to provide chronic disease management, among others. Even as these measures are rolled out, he reminded people that the "best thing we can do for ourselves is to take care of our own health". While accidents or injuries cannot be helped, many diseases are preventable if people watch their diet and lead healthy lifestyles, he said. 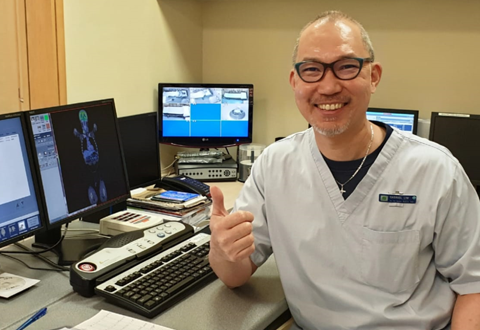 SKH chief executive Christopher Cheng said the hospital set two goals when it began operations last year: ensuring that its facilities and systems run smoothly and safely, and building a good health network in the community. "This is a collective effort," he said.